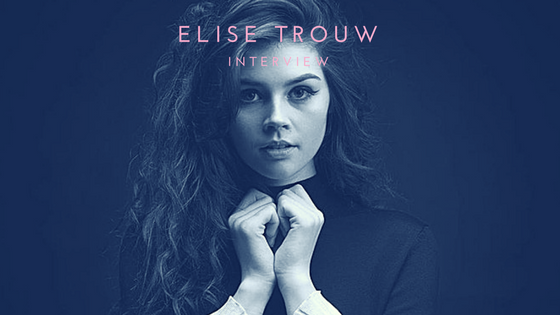 Raised on 70s pop, 80s new wave and 90s punk rock, Elise Trouw’s Southern California roots and parental influence gave her the determination to pursue music in several capacities. The multi-instrumentalist said that inspiration first struck when she heard the power of the piano in the song “My Immortal” by Evanescence. She spent hours listening to the song on repeat, enamored by the sound. It didn’t take long for her to convince her parents for piano lessons and it didn’t take long for her parents to realize that this would be more than just a phase. While her love for the piano remained, she gained a new instrument appreciation in an unconventional way – the video game Rock Band. When she mastered the drums of Red Hot Chili Pepper’s “Dani California” on the game’s expert mode, it wasn’t long before she found her way around an actual drum kit. It wasn’t long after that her parents enrolled her at School of Rock. When she enrolled, she was the youngest member of the “house band” which played at various events to help advertise the school. Being the youngest pushed her to practice as often as she could, as she felt she needed to keep up with the students that were older than her. By the time high school rolled around, she began writing both on piano and guitar. She would spend hours before, after and during school dedicating herself to creating music. She ended up graduating early so she was able to commit to music full-time. She continued to push herself to learn more about the music industry, this time the recording side. Her live shows incorporated backing tracks but didn’t feel like enough, so she began experimenting with live looping. A mashup between Radiohead’s “Weird Fishes/Arpeggi” and The Police’s “The Bed’s Too Big Without You” was the initial track she incorporated into her first live looping video and it caught the attention of Jimmy Kimmel who brought her on the show to perform it as well as a mashup of “Everlong” by The Foo Fighters and “What You Won’t Do For Love” by Bobby Caldwell. She also performed two of her original songs, “Awake” and “Line of Sight”.